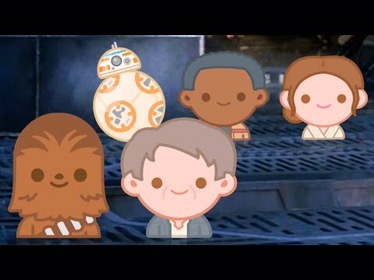 Star Wars: The Force Awakens recreated with emojis is about as adorable nerdy as it gets. This animated video whipped up by Disney is even spoiler free to avoid ruining THAT ONE scene for anyone who lives under rock and had somehow managed to not see Episode VII yet. Oh, and the TR-8R scene is nothing short of magic.